This is a picture of the original Ginger Gold tree. This tree, has a storied history. Legend has it appeared after Hurricane Camille (Davis Creek area) struck in 1969. 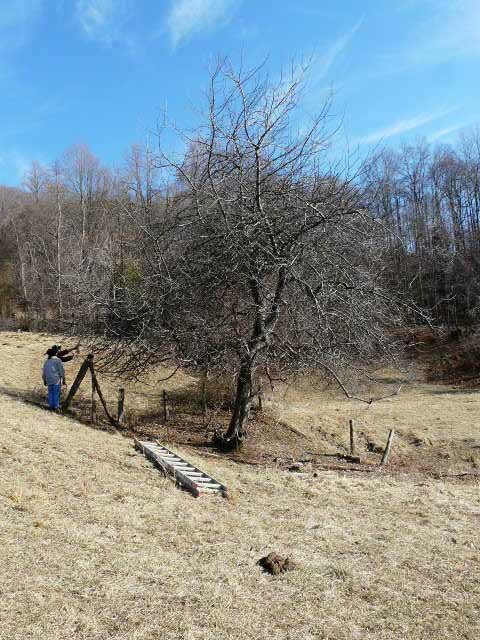 Clyde Harvey a third-generation apple grower collected all of the young apple trees that had survived the devastating hurricane and replanted them on his farm. In 1975 he found an unusual early yellow apple in a grove of Winesap he had replanted.The Ginger Gold a mysterious fluke of Hurrican Camille was established. This is a picture of Meredith and Sherry pruning the maiden Black Twig tree. 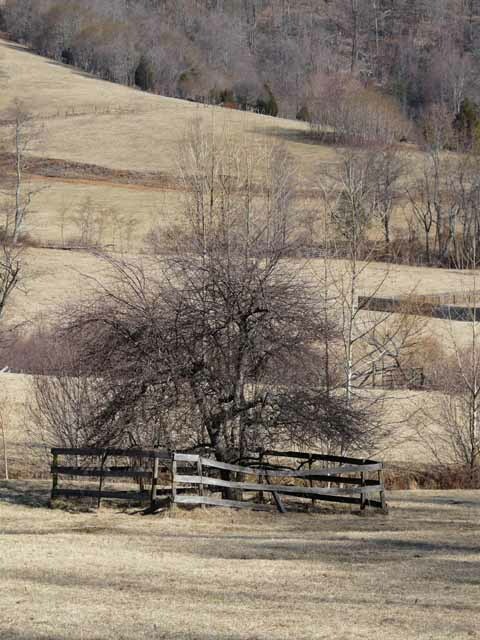 This tree is the tree that got Meredith started with apple trees. The tree is located around Davis Creek, site of one of Virginia’s most devastating floods, Hurricane Camille.